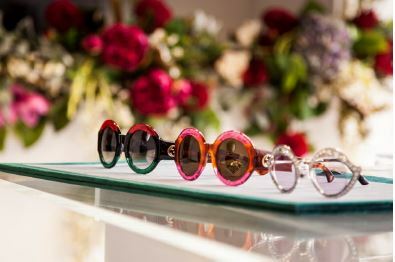 Sunshades Eyewear were organising the launch event (1 day in Melbourne, 1 week in Sydney) for a new range of eyewear for a well-known luxury brand. 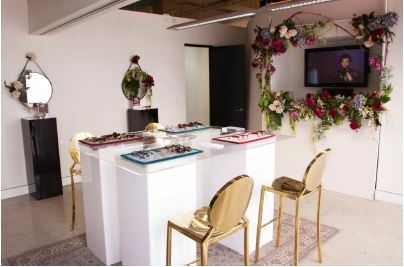 Invite only, they’d be hosting buyers of major retailers to view the range firsthand and place their orders. They wanted to create a feel of luxury and drama, so sent us videos of the recent catwalk shows for this iconic fashion brand so we could take inspiration from the colours, textures and theatrics. There was one disclaimer, however. The event was to be completely hush hush and held in a top secret location with no windows. No grand showroom or breathtaking view to work with this time but the mystery gave it extra sauce! Taking cues from the stunning runway shows which were dramatic, moody and romantic, we came up with a concept and consulted on furniture as well as our ideas for blooms. In place of windows, the walls were hung with mirrors and one television that would play the runway shows. 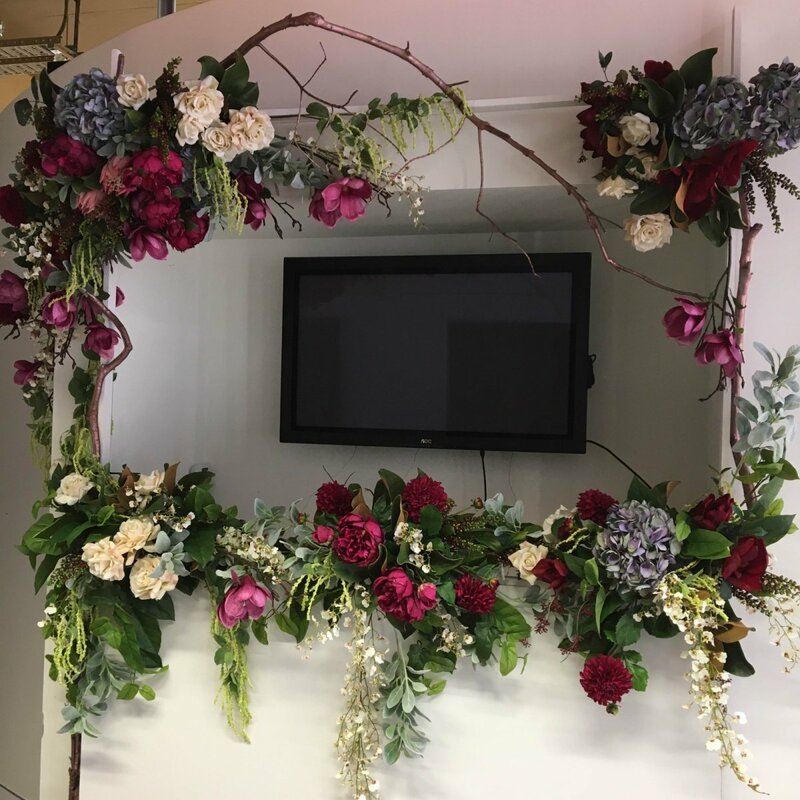 We created corsages for the mirrors and designed a beautiful archway of blooms that would surround the television, all in dramatic colours that complemented the eyewear. We got such a buzz from working on something top secret and totally hush hush. Not only that, but we able to draw inspiration from an actual runway. A dream for almost any creative type!